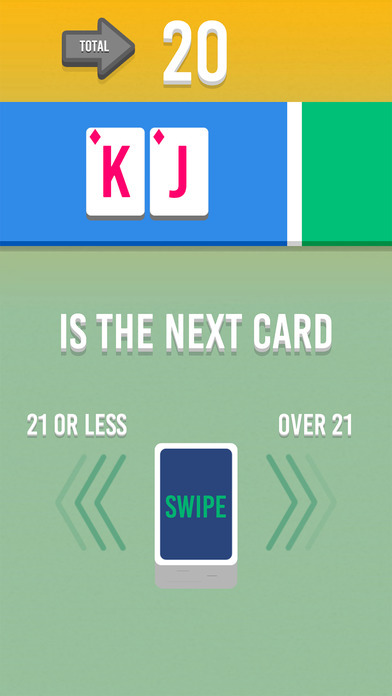 After setting a new high score I was introduced to Lucky 21, yet another simple game where all you need to do is swipe left or right. Congrats dating app users, you have contributed a mechanic to video games! You’re dealt cards, in typical Black Jack fashion, then you answer the question, is the next card I’m dealt going to be over 21 or under 21? Swipe left if it’s under 21, swipe right if it’s over 21. That’s it! Simple, I love it! Available now for iOS. Sadly there is no scheduled release for Android yet. Editors Note:The featured top image of this post was taken directly from @SimpleMachine on Twitter from a previous event they attended. I seriously think that casinos in Vegas need to add Lucky 21 to their arsenal somehow. It’s familiar and easy and that makes it captivating. I found myself not wanting to stop. It’s not gambling (yet) but this game gives you the fever. You feel lucky and you just want to keep testing your luck. It reminds me of that time in Vegas we played Craps on the digital table. Lucky 21 is a quick and easy way to see if Lady Luck will swipe right on you, and yes that’s a Tinder reference!